It didn’t take much time after the Global Financial Crisis (GFC) for the truth to emerge – that at the heart of the GFC lay greed for organisational and personal financial gain, and that those organisations were happy to do this at the expense of anything or anyone. The aftermath saw a lot of anger from governments, up and downstream suppliers as well as the general population, who lost jobs, livelihoods, lives and reputations. The reaction from retailers has been sickening. 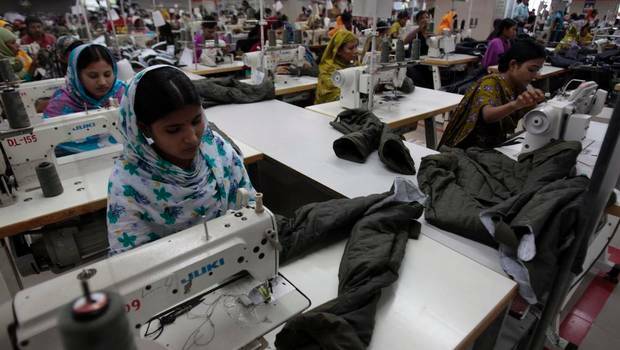 To try and cover up the facts and to suggest that the supply chain executives and others were not remotely aware of the physical conditions of employment which the garments were being produced under, and the wages the employees were earning were not nearly commensurate with the work effort, is an insult to our intelligence. How can retailers believe a monthly salary of $69 for a sewing machine worker, who lives in a single room apartment with her family and shares 4 toilets amongst 100 people, is proper and fair? It’s blatant exploitations, and comes pretty close to slavery. The reality is that if the human disaster did not happen, the plight of these people making the garments would not have been exposed. And just like the financial crisis of 2008, the industry would have continued to feed its greed through new schemes and deals at the expense of anyone. One has to ask what role the HR functions of these organisations played. I would love to know if any one of the HR executives or CHRO’s from these organisations believe they and the HR function are to blame in any way for this calamity. My best guess is that they won’t see the relationship between HR and this event. That’s because their level of HR Maturity is low and they are not a real strategic player in any sense, even though they have an executive seat. The fact that a culture of greed was not identified and properly managed and influenced by HR and others is indicative of the reality that most so-called “Strategic HR” functions are not strategic nor business focussed at all. I wonder if the local organisations would allow their own staff to live under such conditions as the people in Bangladesh – clearly not, but yet HR allowed its “extended” workforce to live in misery, and capitulated in all respects around fairness, quality of work environment, health and safety and its moral obligations to fellow human beings. Dealing with HR and business maturity is becoming a priority. How many more disasters do we need to go through in other industries before we understand that making a profit and giving returns to shareholders is fine, but not at the expense of people and in this case their lives. Posted in Future HR, HR Strategy, Outsourcing, Talent Management on 26 June, 2013 by Rob Scott.